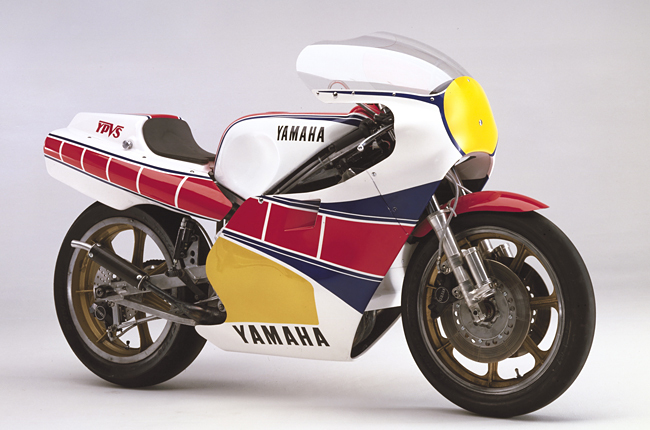 YZR500(0W60) - race | Yamaha Motor Co., Ltd. 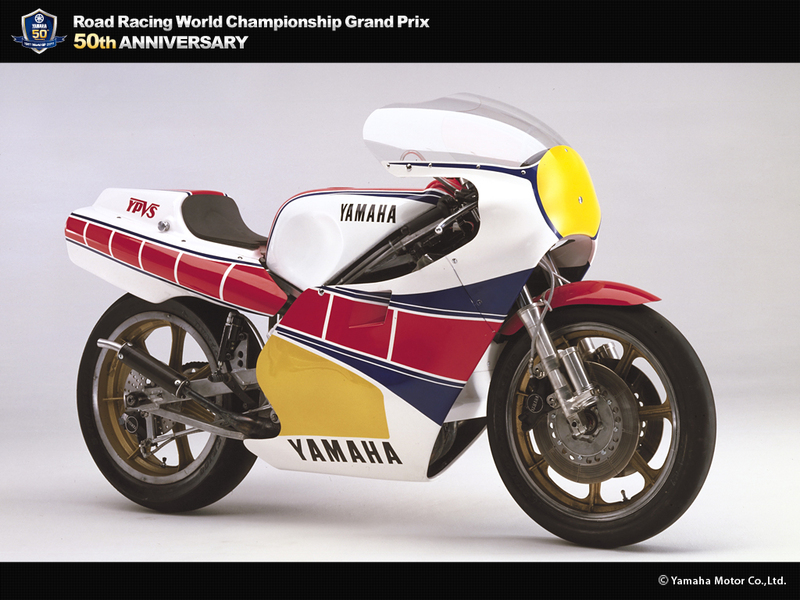 Continued development of the square-4 engine had made the 0W60 that debuted in the 1982 season's opening round 6 kg lighter than that of the 0W54. It also featured a new type of suspension in which the shock absorber was moved by a bell crank and an adjustable steering pipe. 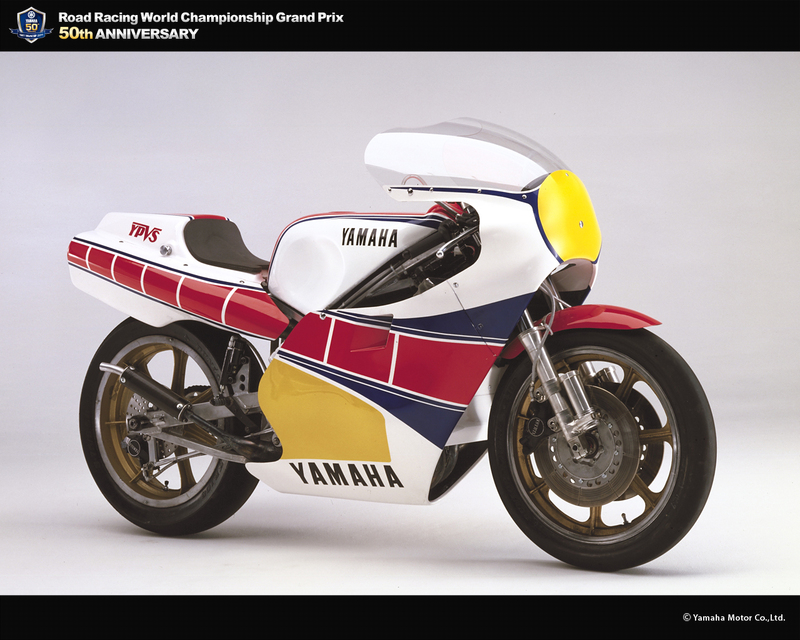 Riding this machine, K. Roberts and B. Sheene finished 1-2 at the season's opening round, the Argentine GP. 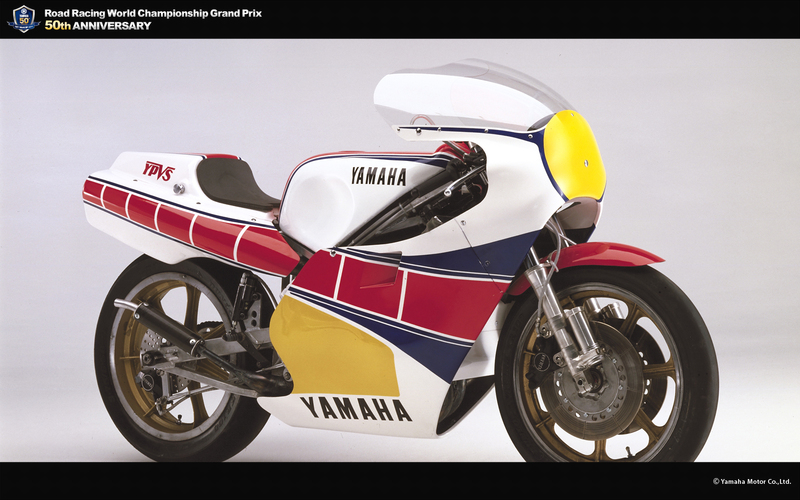 Riding this machine, K. Roberts and B. Sheene finished 1-2 at the season's opening round, the Argentine GP. From round two, however, Roberts switched to the V-4 model 0W61. As a result, G. Crosby, who continued to ride the OW60 to the end of the season finished as the top ranked Yamaha rider in 2nd.